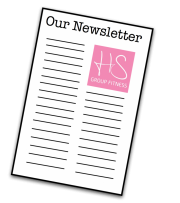 We are HS Group Fitness, Calderdale's leading female only fitness and health studio located in the heart of Halifax. Our exclusive fitness suite based in the heart of Halifax, means you dont have to train large commercial gyms again! We provide fun fitness classes, Calderdales leading 6 week weight loss programmes, personal training, health advice and well-being coaching ran by our friendly fitness experts. If the thought of large commercial gyms, fighting for equipment and people constantly stopping, staring and taking selfies fills you with dread, then you are on the right page with us! We focus on a quality product in all our classes rather than quantity of people , so you know you will always have our support! Many of our members have been with us right from the start , almost 8 years ago and continue to train 3-4 times per week! So whether you are a complete novice or someone who is fed up of commercial gyms, you will find a place at our studio! Our approach to health and fitness focuses on helping your whole body feel stronger, healthier and full of energy. Classes are no larger than 14 members leaving you feel confident and comfortable in our surroundings! Join us to feel great about yourself, energise your body and get AMAZING results! 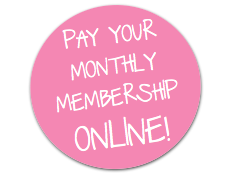 JOIN US MONTHLY ONLINE... Click here to sign up to our rolling monthly membership! Smarter training focused on you. All of our classes and programmes are designed based on the feedback from the busy women we work with. 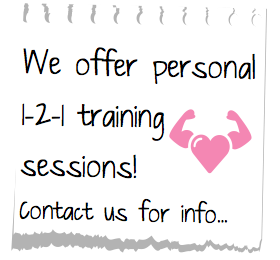 We encourage you to be the best YOU can be through training smartly and healthy living - helping you to get guaranteed results! Our results over the past 9 years all speak for themselves and we have trained 1000's of ladies throughout Calderdale and further a field !